When it comes to protecting your workhorse, you want to find the best truck accessories to ensure the best results. 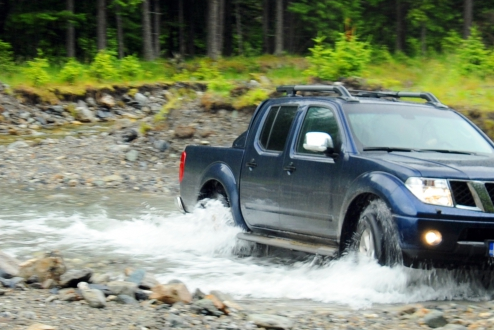 After all, your truck is a valuable piece of your inventory that should be optimally protected to enable you to get the most value out of your adventures, whether for work or for recreation. LINE-X of Boise is here to provide a wide range of car and truck accessories to Boise residents, delivering the hardware to match our unbeatable powder coating services. Be sure to stop by our shop on West 37th for the best products and service! These tonneau cover styles range for a variety of uses and environments. Contractors and recreationalists alike can benefit from the right truck cover for their bed. Regardless of your needs, the LINE-X of Boise team is here and ready to provide expert assistance in finding the perfect truck bed cover. Your vehicle goes through a lot of wear and tear year-in and year-out, making it essential for you to keep it protected for the best long-term enjoyment. Durable, long-lasting floor liners are the perfect choice for those who like to get the most out of their truck. LINE-X of Boise can help you to find the best floor mats and liners to protect your vehicle’s interior from all of life’s adventures. Our team will help you find the right fit at the right price! Whether you’re hitting the off-road trails or pulling into the jobsite, it pays to have a toolbox in the back that can perform under pressure. All of our chest, crossover, and low-profile options ensure that drivers with varying needs can store their property in a dry, secured location. Stop by our truck accessories shop in Boise today for assistance! While your 4×4 is impressive, there is a matter of safety and convenience to make it accessible for riders of varying ages and sizes. 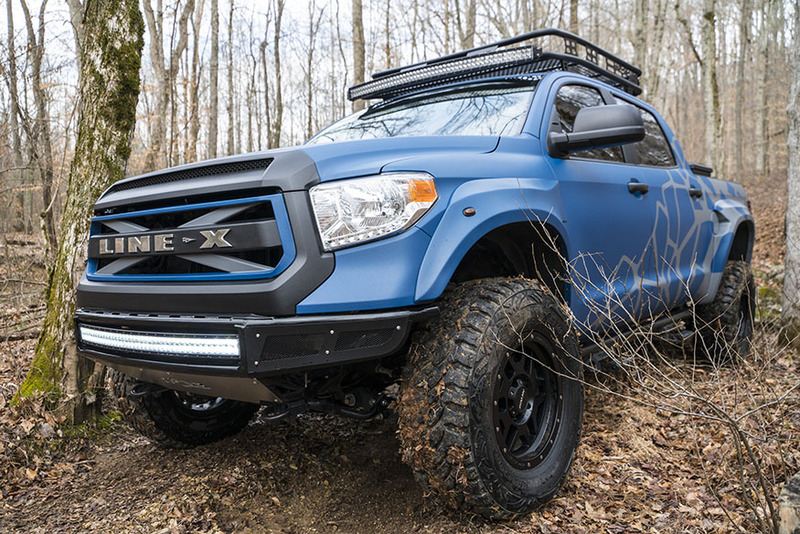 LINE-X of Boise provides a range of truck accessories for easier access, and our step bars are here to enhance the beauty of your vehicle while also protecting it. You can also find drop steps that provide quick and sure footing. Protect your machine while enhancing your vehicle’s curb appeal with aftermarket bumpers. The LINE-X of Boise team will work with you to find new truck bumpers to protect your beautiful investment. From beautiful grille guards, tire carriers, and winch mounts to off-road bumper options and more, you’re sure to leave our truck accessories shop happy. No matter what your vehicle needs, our Industrial Coatings and Accessories shop in Boise is proud to deliver, focusing on quality and affordability for all of our products. We offer more than off-road truck accessories; LINE-X of Boise provides the power banks, travel accessories, toolbox liners, and more to perfect your ride for the road ahead. If you are ready for the best protection installed by the best industrial coating and accessory team in Idaho, be sure to contact us or stop by our shop in Boise today!